Heritage roses with historical significance, antique and old fashioned roses all play an important part in the garden, it may be an attempt to recreate an older garden true to its original style, to preserve the genetic line for rose breeding, or simply to enjoy the beauty of some of the more significant roses in history. 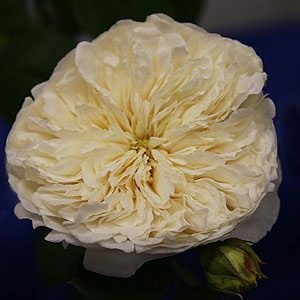 Perhaps best described as roses that are from the 19th C or earlier, Heritage Roses have one or more of the qualities listed below. We have roses such as the noisette rose ‘Lamarque’ dating back to the 1830s. This great climbing rose was named after General Lamarque, a French Commander, Member of Parliament and political activist. And although not rare it is a very old and important rose. ‘Sombreuil’ (picture right) is another climbing rose dating back to 1850. ‘Rosa Mundi’ dating back to Henry II and maybe named after his mistress ‘Fair Rosamund’. Queen of the violets of ‘Reine des Violettes’ again dating back to the 1800s. ‘Quatre Saisons’, ‘Old Blush’, ‘Mme Alfred Carriere’, ‘Celine Forestier’, Maldivian Pink’ and ‘Amadis’ are others to look for. Much the same as other roses, prune in winter, feed in spring and watch for diseases and pests, heritage roses are no different to other roses in care requirements.